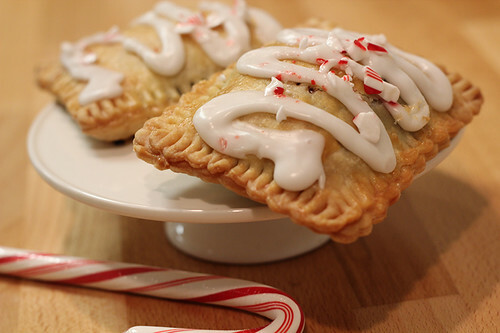 These are like mini hand pies made with a flaky pie dough, made fresh everyday, and filled with whatever’s in season. Flavors range from triple berry jam in the summer, to pumpkin pie filling in the fall and chocolate peppermint ganache in the winter. These sell out fast so get here early. Who said healthy and delicious have to be mutually exclusive? 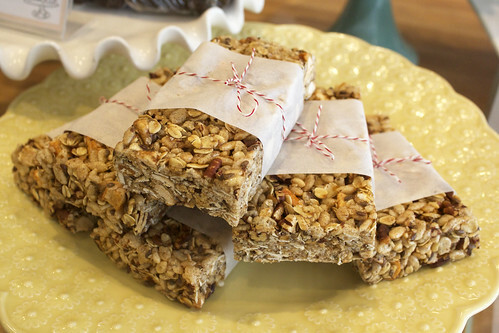 We make our granola and breakfast bars on site from nuts, berries, honey, oats, and other magical energy boosters. They’re the perfect grab-and-go breakfast food for when you’re headed to work or out on your morning jog and need that extra boost of energy without all the guilt. We always have our three basic gourmet flavors of cupcakes, which are Yellow, Red Velvet and Chocolate, available in our case everyday. Beyond that our bakers bake off extra batter from custom cakes which are new and different every week. 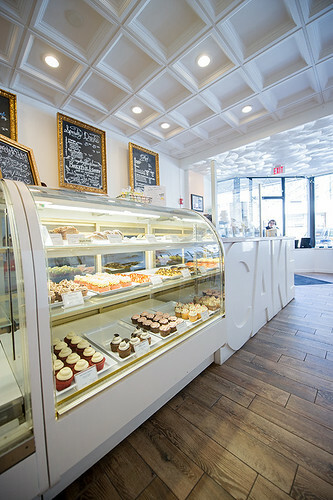 Some weeks we might have pina colada cupcakes and another week we might have strawberries and champagne cupcakes. 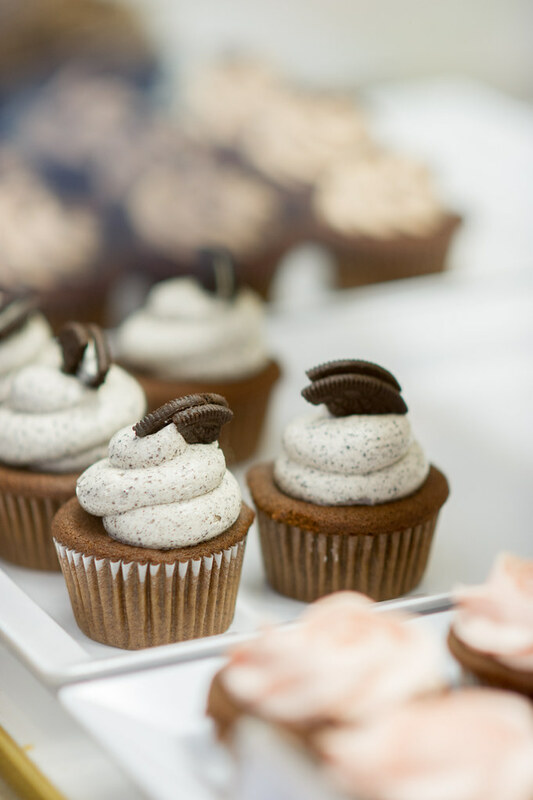 Our decorators are given the creative freedom to mix and match cupcakes and buttercream as they see fit. Stop by to see what we have today! -Cupcakes are also available with customized decorations if you order in advance. 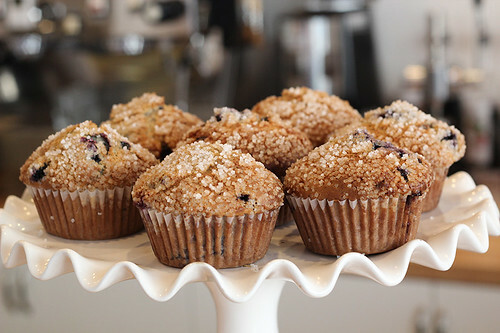 Muffins, more hearty than cupcakes, also change with the seasons. 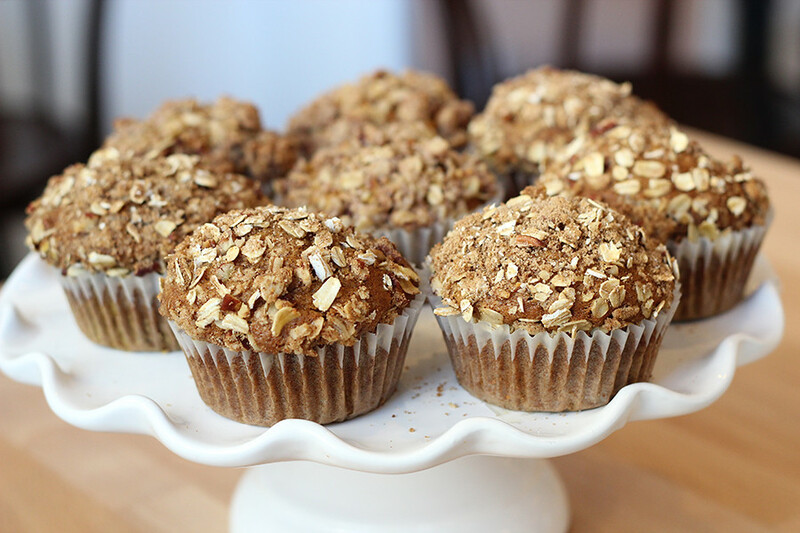 In late spring we love making rhubarb muffins with rhubarb from the farmers market and in the fall we have a pumpkin streusel muffin that is to die for. We always make our own cookie dough and our cookies are baked off fresh every morning. Our confetti sugar cookies are always popular with the colors changing with each passing holiday. 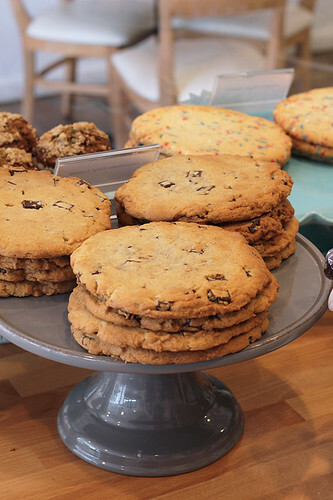 Some of our other customer favorites are chocolate chunk cookies and vegan peanut butter cookies. 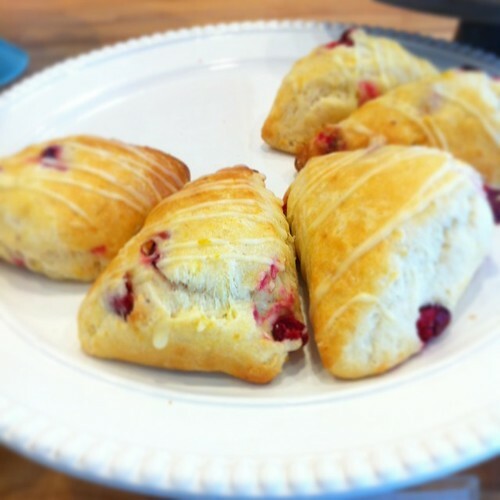 Scones are baked in small batches to ensure they stay fresh all day. 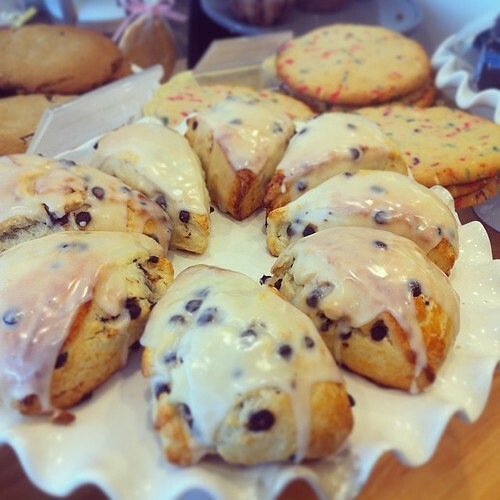 A couple staff favorites are the chocolate chip scones and the cranberry orange scones. Sometimes a little (a lot) self control is necessary to work here. Our bakers have perfected the art of baking cheesecake. 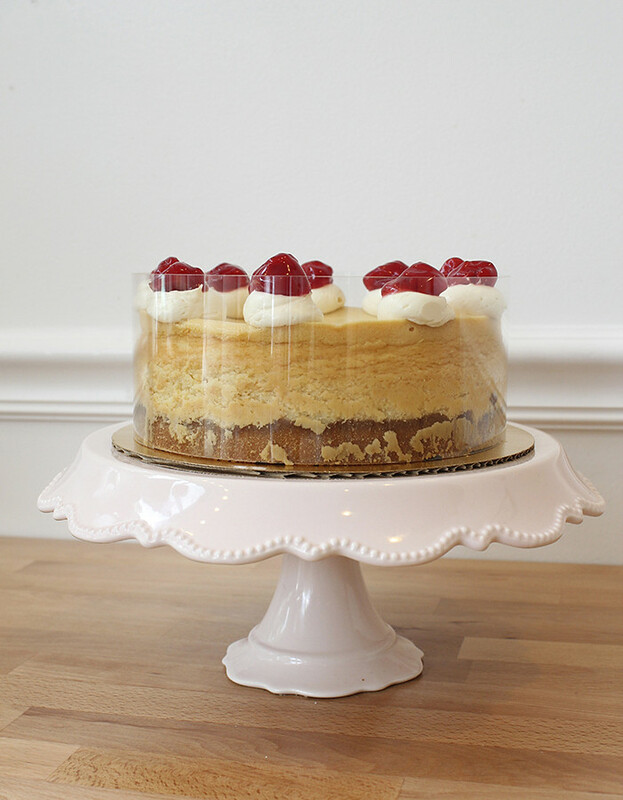 Our cheesecakes are made from scratch with a shortbread cookie crust, bake up extra tall and are decorated with Italian meringue buttercream. 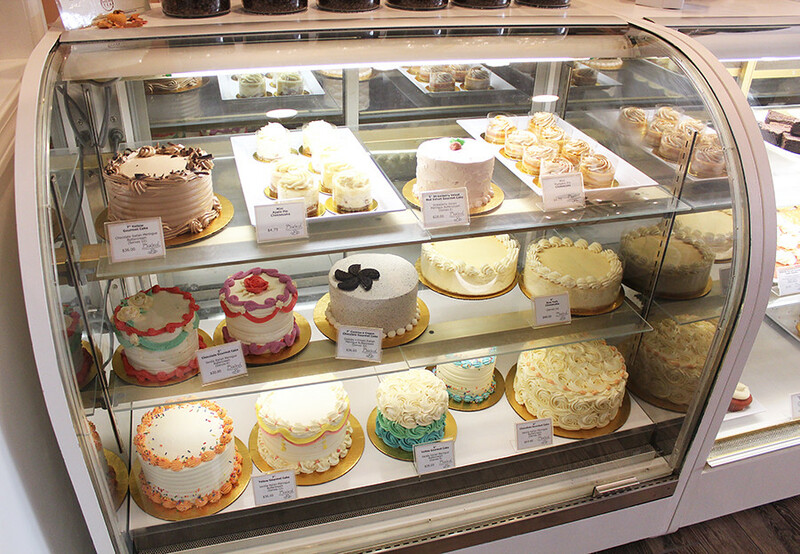 We always have a few flavors available in our display case everyday. 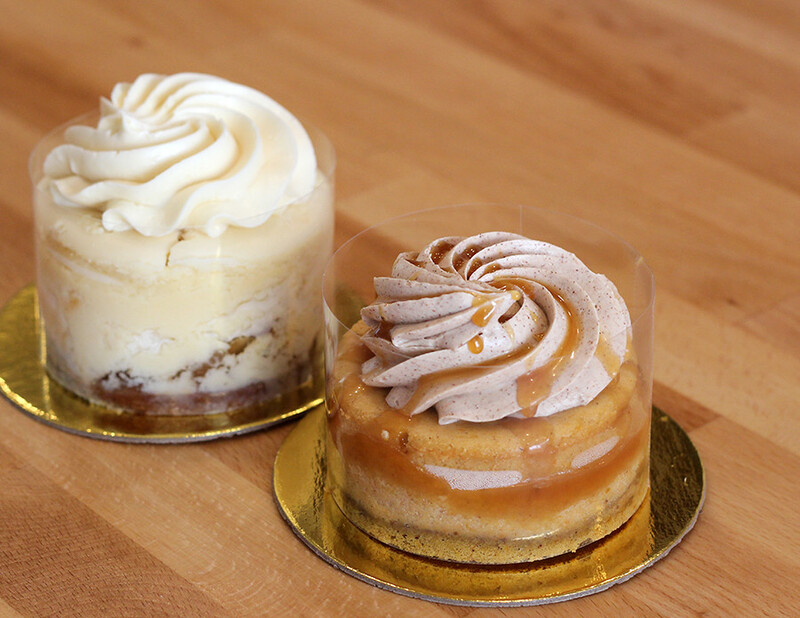 Our cheesecakes come in 3 sizes. 9″ (feeds 16), 7″ (feeds 9), and a mini cheesecake that you could share with one other person but only if you wanted to. 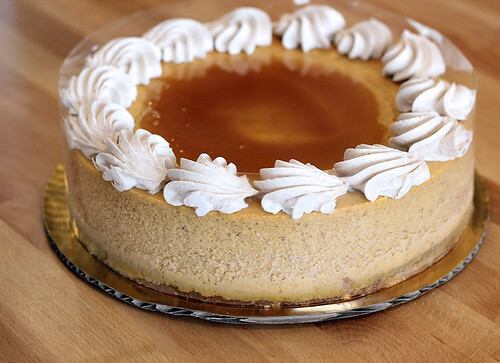 Like the rest of our baked goods cheesecake flavors change with the seasons. Our summer favorite is coconut lime cheesecake while our cappuccino cheesecake is a year round delight. Decadence in a cup. 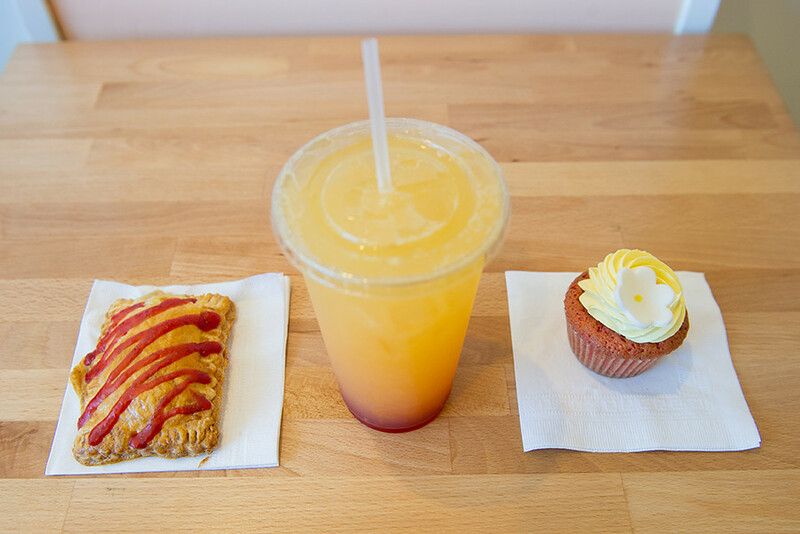 These cute little cups are brimming over with our very own house-made mouses, creams, and fillings. 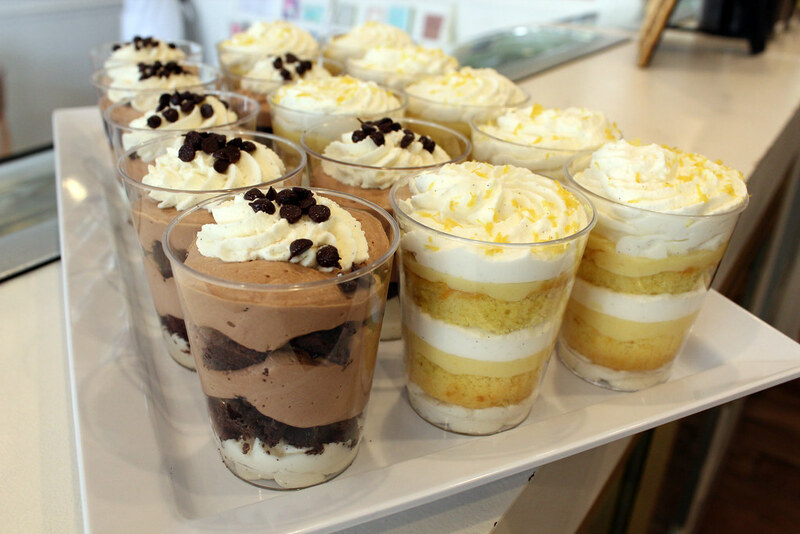 From our refreshing Lemon Dream trifle, to our rich and creamy Brownie Bliss, to a million other amazing combos, these creamy trifle cups are hands down our new favorite thing. Our brownies are probably the only thing we make that is always the same. 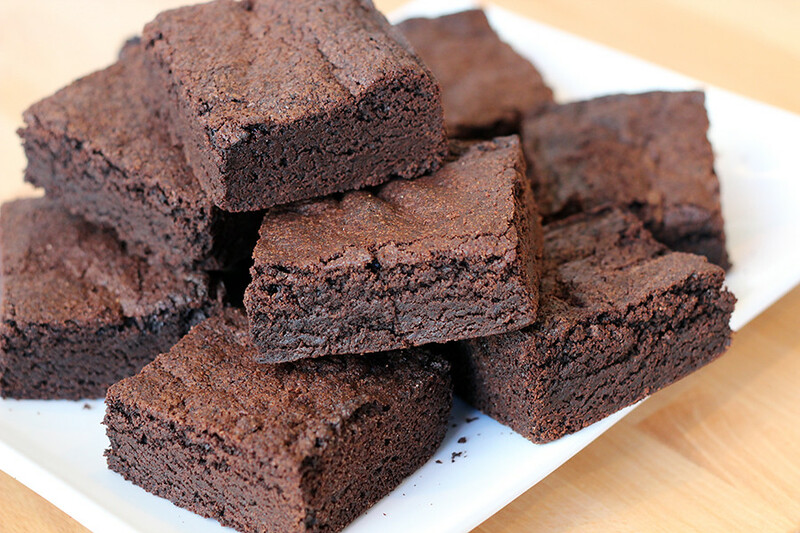 If you’ve got a craving for some serious chocolate these brownies are for you. No messing around. 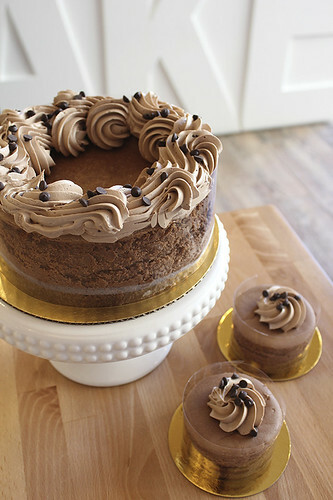 Just a seriously chocolatey, fudgey brownie. (without nuts!) Sometimes we spice things up and make Aztec chocolate brownies. 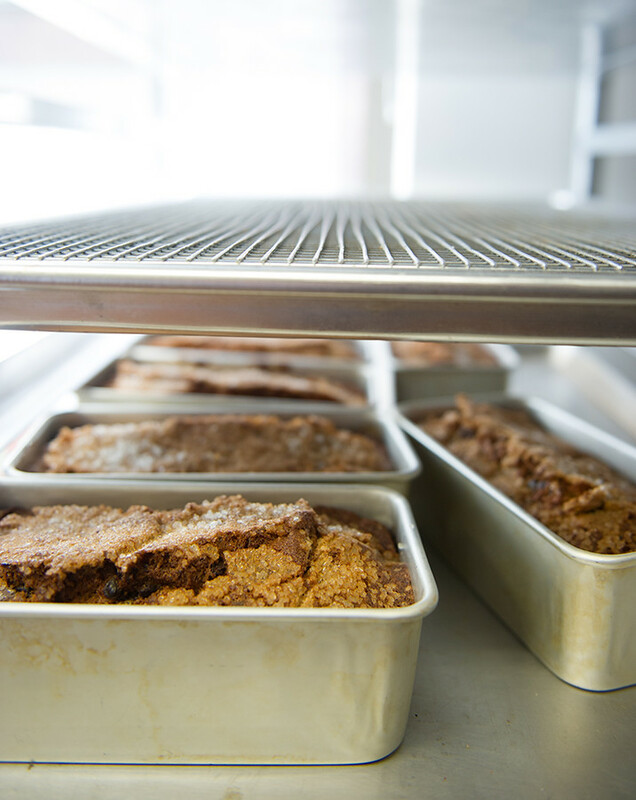 After we made it once customers came back looking for it and esentially demanded we always have our banana chocolate chip bread available. In addition to banana bread we usually have one other bread choosing from coffee cake bread, zucchini bread, and even cranberry orange walnut bread. Bread is available by the slice if you’re dining in or you can buy the whole loaf to take home to share (or not). These are really fun, and really messy, to make. 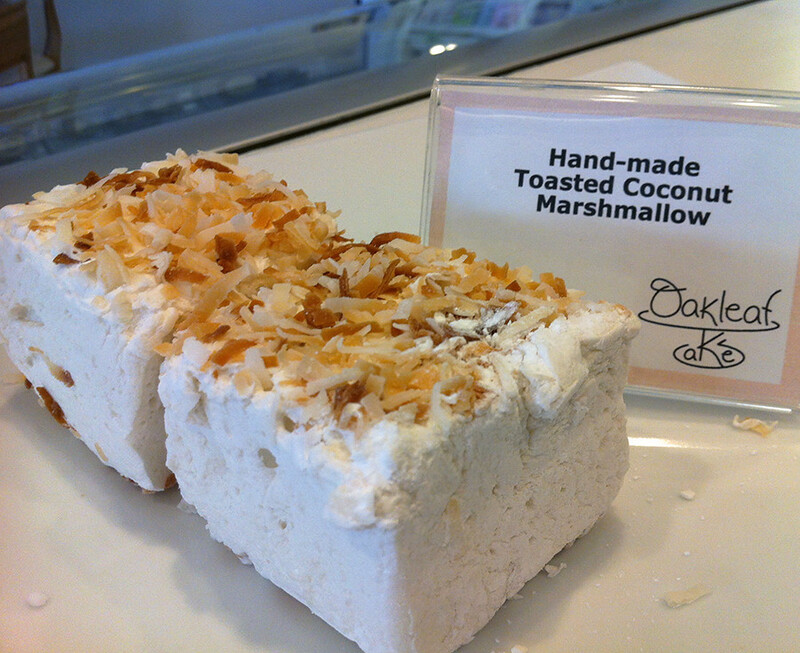 Our most popular flavor is the toasted coconut marshmallow. The contrasting textures of the crispy coconut and silky smooth mallow is amazing. 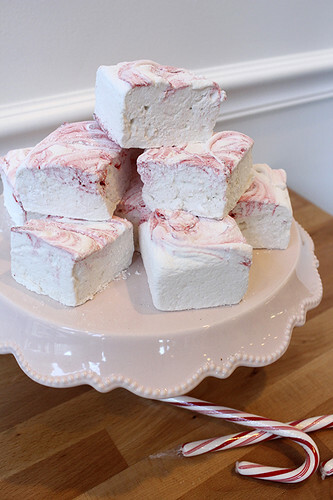 In the winter months try one of our vanilla marshmallows in your hot chocolate. 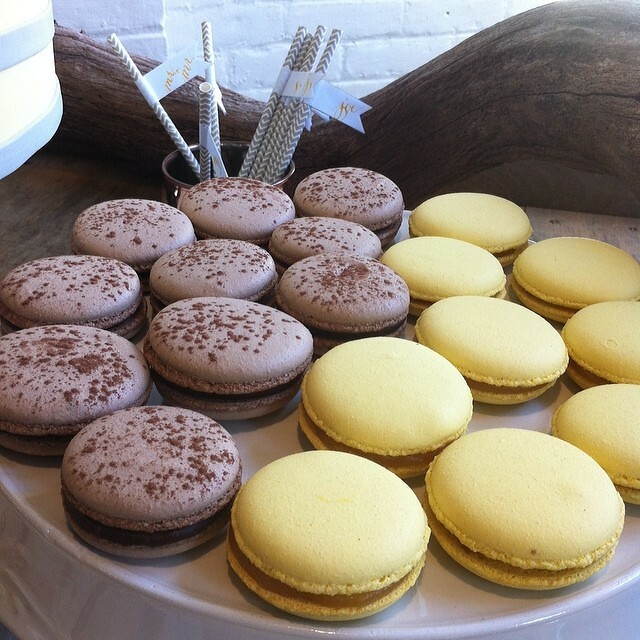 We also make french macarons. 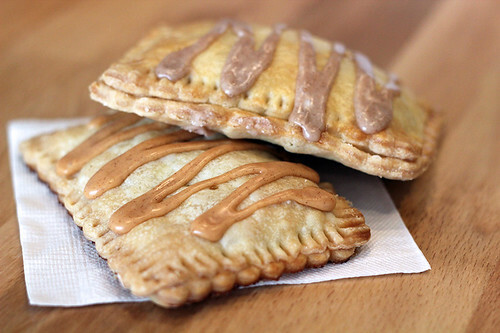 The are made using almond flour so they are gluten free. 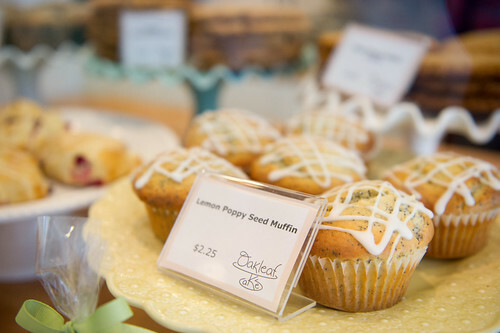 They are available in several flavors from plain vanilla, chocolate fudge to lemon curd. These are a special occasion item so it would be best to order these in advance. 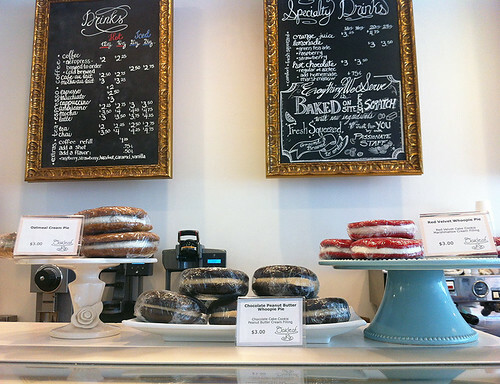 Whoopies are for people who really enjoy their frosting to cake ratio to highly favor the frosting. Most whoopies are filled with a marshmallow fluff frosting, while sometimes we fill the chocolate whoopies with peanut butter frosting. The customer favorite is probably a tie between the oatmeal cream pies and red velvet whoopies. 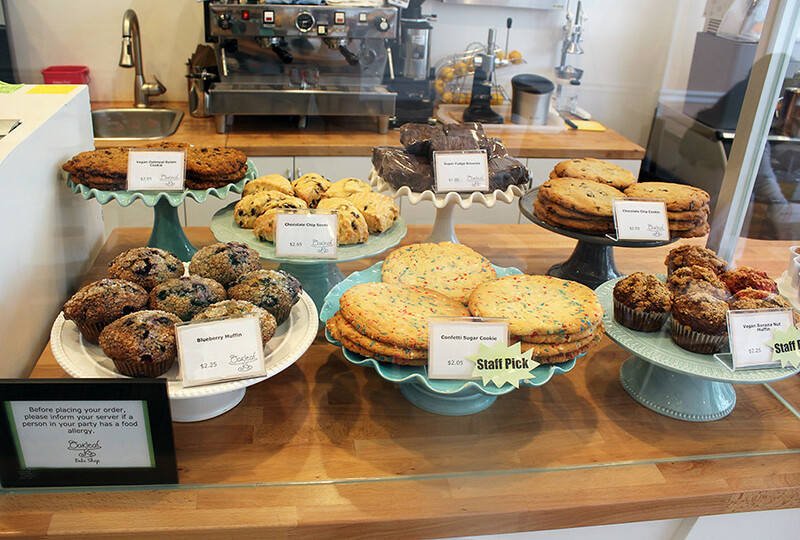 Whether you have a egg or dairy allergy or eating vegan is a lifestyle choice we always have several vegan baked goods everyday. Options include at least one cookie, one muffin and one-two cupcake flavors. We occasionally make treats that are just dairy free, just ask us when you’re in next time. 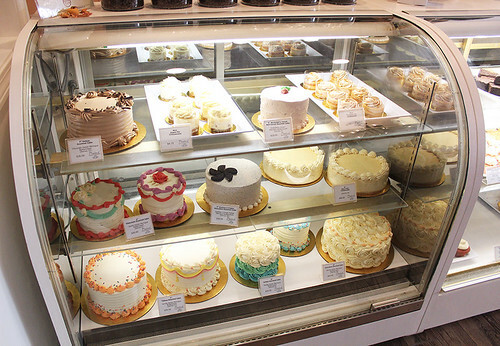 We are not a gluten free bakery so if you have a serious allergy please take caution when ordering. 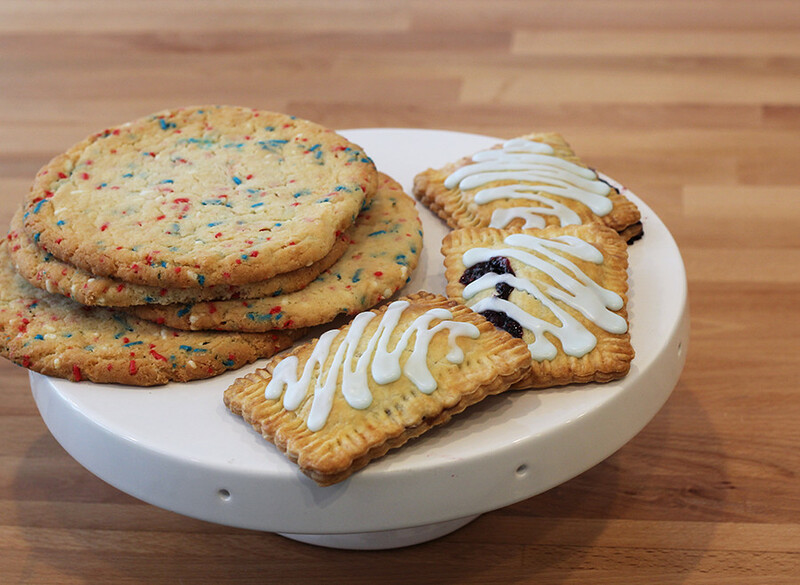 However, we do offer two items that are gluten free. Our marshmallows and our macaroons are both gluten free.